So easy to put together with a few ingredients in just a few minutes. 1 dessertspoon white wine vinegar and the juice of one lemon, freshly squeezed. 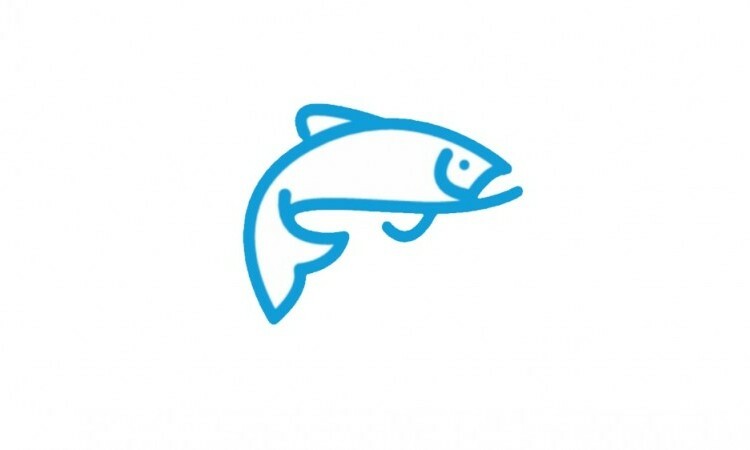 Remove the fillets from the outer bag and then (whilst frozen and still in individual pouches), place the fillets in a pan and cover with cold water. Bring to the boil and simmer gently for 15 minutes (ten minutes if the salmon is defrosted). 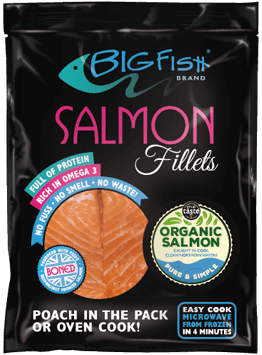 When cooked, take the salmon fillets out of the pouches and put on a plate whilst you put the put the dish together. Whilst the salmon is cooking, make the hollandaise. Put a heatproof glass bowl over a saucepan which you have half-filled with water and brought to a gentle simmer on a low heat. Now melt the butter in a separate small pan and then remove from the heat. Put the separated egg yolks in the bowl over the warm water and start to whisk, gradually adding white wine vinegar as you do so. Continue to whisk as you then add the melted butter. The mixture will combine to form a deliciously smooth, thick sauce. Add a few squeezes of lemon juice if the sauce seems too thick. Lightly season with a little salt and some freshly-ground black pepper. Fill a pan with boiling water from the kettle and bring to a gentle simmer over a medium heat, adding a pinch of sea salt. Crack the eggs individually into cups, and then stir the water to get it moving before adding the eggs, one at a time. Leave to cook – 2 minutes for a soft egg, 4 minutes for a firmer one. Remove from the pan with a slotted spoon to drain. Then put eight spears of asparagus into the pan of boiling water and cook for 1 - 1½ minutes until just tender. Put the toast on to cook in the meantime. 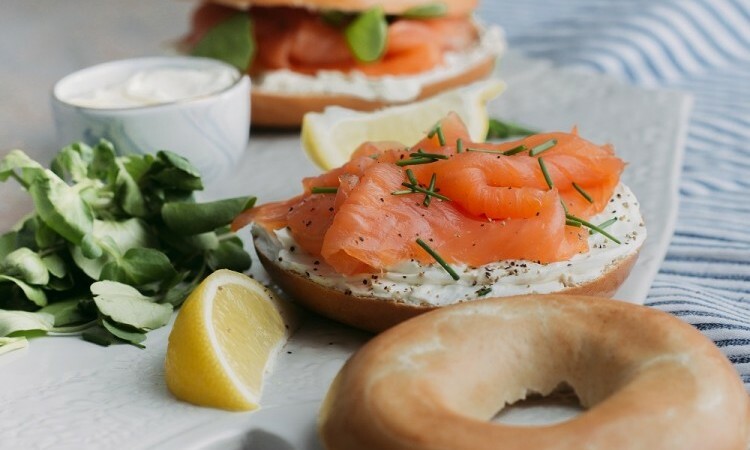 Butter the toast and top with the asparagus spears, then the poached egg, a spoonful or two of hollandaise and finally the poached salmon fillet. 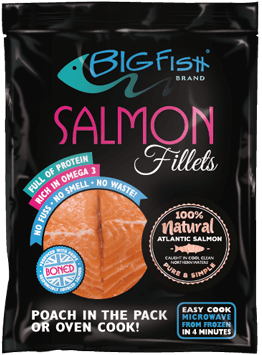 Season with a sprinkling of sea salt and cracked black pepper and eat immediately!